We have been in IT since the early 80s, and founded our own Internet Solutions practice in 1991. Since then we have been helping individuals and companies with their Web design, publishing and Search Engine Optimisation. All of our Web clients have page ONE Google positions owing to our Search Engine Optimisation experience. 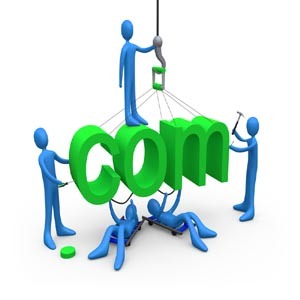 We design and build websites for individuals, small businesses and large organisations. We are proud of our reputation and are happy for new prospective clients to contact existing clients to discuss us and our service. 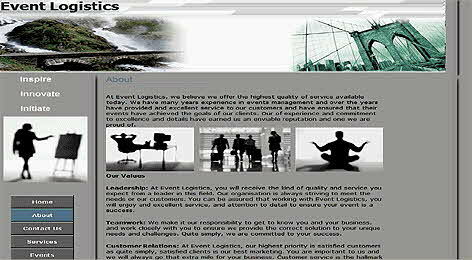 Web Design and creation, Banner & Ad design, Logos, Presentations, Powerpoint, Media and Press Pack designs. Below, are just a few of the recent websites we have developed. Click on any image below to view more information about that site. 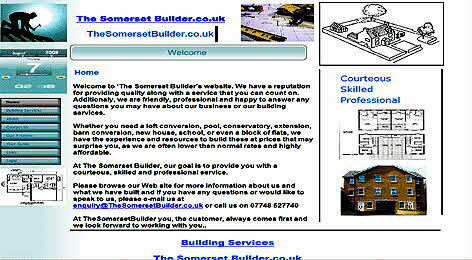 www.thesomersetbuilder.co.uk this is a family business that has been around since the 60s. They are not computer literate but knew that they had to have a website to reach the millions of people that now search for businesses via this medium. Again we helped with the Domain name. They are thrilled with the end result which has already generated thousands of pounds of new business and they especially like the name which we came up with and registered for them. 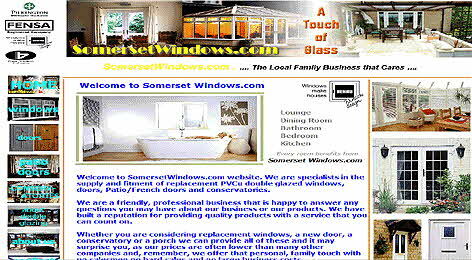 www.SomersetWindows.com Is another a company that has been relying on adverts and word of mouth to generate new business. Again we suggested the domain name and managed to register it for them. 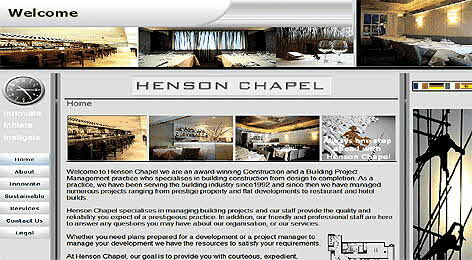 We then designed and built the site. Their PVCu supplier was so impressed with the site that they have commissioned us to build them a new web site. www.GrassrootsPR.co.uk Claire Hart had built this practice but needed a web site. 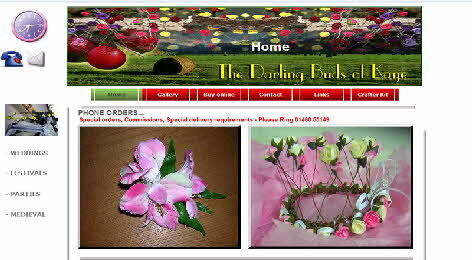 We worked with her for a suitable domain name and designed and built the site. The response she has had for the site has delighted her. This was a basic site to help sell her marketing practice and came in for just £350 for the entire project. 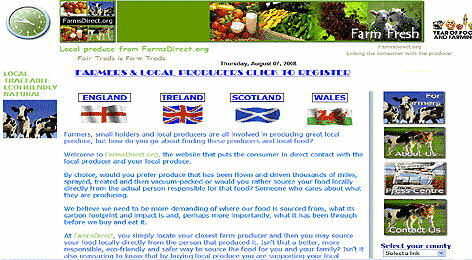 www.FarmsDirect.org Is a site we developed to try and help local farms and local producers, it has been picked-up by the BBC and recently we had a TV producer asking us to help them with a new series. 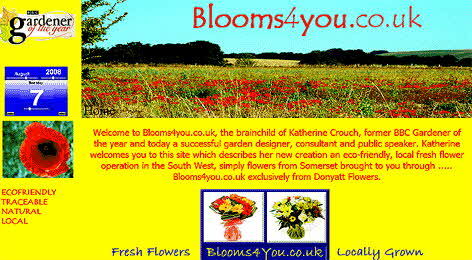 Try entering 'Local Produce in Somerset' and see how high this website features in the search engine results. 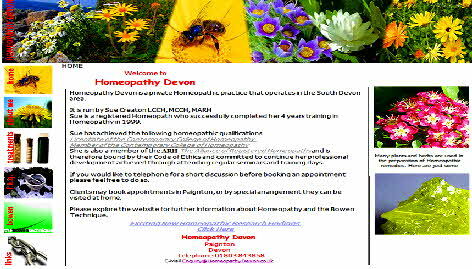 www.HomeopathyDevon.co.uk Is a site we developed for a Homeopathy Practioner based in Devon. This practice also offers The Bowen Technique and has been very succesful in attracting new clients via their website. We discuss all aspects of a website development with our clients to fully understand their requirements and needs. 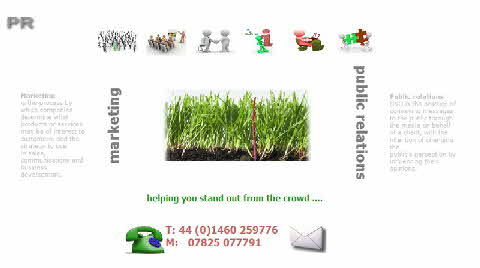 We are delighted to help anyone with a small basic web site and then build-on from there as the business grows. As a guide, the details below should give you some idea of costs.